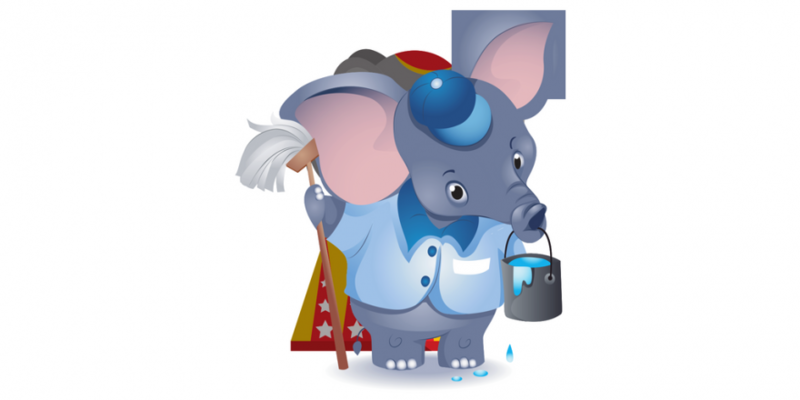 An Elephant Can Save the House!! This Spring, I had the good fortune to attend a Conference at Denver University entitled: “Choose Your Own Adventure”. The conference is sponsored by the Learning Effectiveness Program at DU. The LEP program in collaboration other DU departments and community resources host the program annually for parents and professionals who are interested in information and exploration of learning opportunities for individuals with ADHD and Learning Disabilities. The keynote speaker for the conference was David Flink. David was diagnosed with Dyslexia and ADHD at the age of nine. He has a Bachelor’s Degree in Education and Psychology from Brown University and a Master’s Degree in Dis/Ability Studies at Columbia University. He is married, a father and a successful author and entrepreneur. He has written the book, Thinking Differently, an Inspiring Guide for Parents of Children with Learning Disabilities. He is also the cofounder and Chief Empowerment Officer of the Eye To Eye Program, which pairs college and elementary students with learning differences. David is living proof that the personal and academic challenges of Dyslexia and ADHD can be overcome successfully. He believes that the key is to understand yourself, your gifts and your challenges and to find a path to success in spite of your obstacles. He also is a firm believer that part of your success is generally due to having advocates, people who understand and support you. David opened the keynote by describing a favorite childhood book, a book he now reads to his child. The title of the book is “But No Elephants”. The message is that although a person (or elephant) might not appear to fit in, that person might in the end save a household (or the world). David, ever the storyteller, also recounts an amusing story about his roommate in college, David Hyman. He asked his roommate to edit a paper he had written and the edited paper was returned with numerous corrections. David discovered, too late, that his roommate also had dyslexia. Today, that roommate is a successful Oncologist and researcher. Dr. Hyman has been instrumental in discovering a new cancer treatment based on the understanding of a mutated gene. David’s comment regarding his former roommate was: “The cure to Cancer could be in the brain of a Dyslexic.” I would suggest that any neurodiverse learner who has a passion or a burning curiosity about anything relevant in today’s world not let the obstacles and challenges of that neurodiversity stand in the way of pursuing your passion or curiosity. David talks about personal passion as fuel for your soul. When I work with high school students, young adults, or adults in the work world, I find that the key to career happiness and often success lies in the area of that passion. Developing that awareness is key in finding happiness and success. In addition to the fuel, specific steps must be utilized to overcome obstacles and have a successful career outcome. Tell your story. 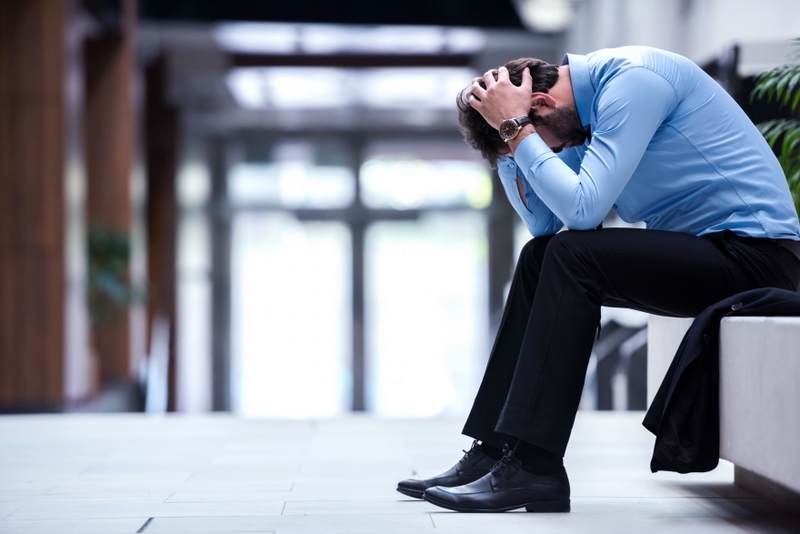 Avoid bankrupting your self-esteem account. Find tools, resources and support. Learn about your gifts and passions and consider using these to better the world (At the Center for Living Well with ADHD we utilize specific strengths assessments). Find resources that work for you: apps, timers, and planners. Ask for and utilize advocacy and support. Remember that your unique difference can benefit not only you but also others and that you can make a difference, be it large or small, in the world. Kay Axtell is a Certified ADHD Life Coach and Executive Function Skills Coach with the Center for Living Well With ADHD. 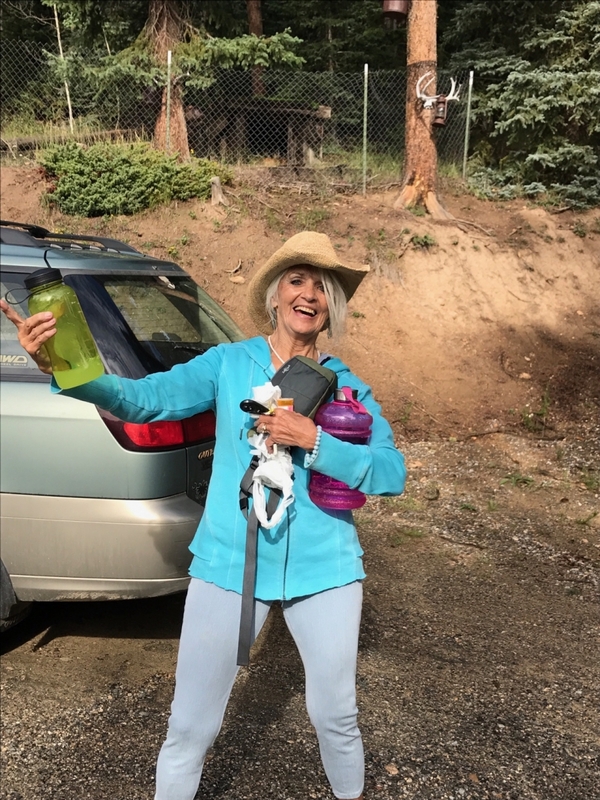 She works with clients in all ages and stages of life and is committed to helping clients overcome obstacles through the use of their unique talents and gifts. You can reach out to Kay at Kay@ADHDCoach.life. Imagine your best friend calls, she is upset and has a serious problem she got herself into. What do you do? Would you rise to the occasion to support and comfort her? Would you try to help her create a more positive outlook on the situation? Would you share some ideas or options to handle her problem or to avoid it in the future? Probably, you would, if she were truly your best friend. We do this for two reasons. Helping others makes us feel good. And, we are not necessarily connected to the negative beliefs and emotions that arise for her when she realized she had a problem. We can look at the situation from a different perspective and offer our feedback in a way that is compassionate and helpful. Now, imagine you as the one who is upset because you created a serious problem. What do you do? Do you ruminate or dive into catastrophic thinking about the situation over and over? Do you quickly remind yourself you’re such a dope or have “screwed up again”? Do you struggle with frustration or succumb to limiting beliefs on your ability to actually handle the problem? Is your attitude towards yourself full of judgement with little to no compassion? Which of these two scenarios has a higher chance for a better resolution? My bet is on the friend who received the support and compassion. One of the most important things we can do as women with ADHD is to give ourselves the same self-compassion, understanding and support we might give another. What we say to ourselves does make a difference. It doesn’t mean we are letting ourselves off the hook, but perhaps we are addressing the situation from a healthier perspective. Steer away from your inner judge! When something goes wrong, remind yourself you are just as human as everyone else and everyone makes mistakes. True, those with ADHD may make more than their fair share of mistakes. Exploring strategies and finding ways to prevent the problem in the future is a key to success. In the moment, acknowledge what happened without judgement. Be prepared with an if-then coping strategy to help you calm your emotions and frustrations down and regroup. Once you have calmed down, you will be in a better place to create and follow through with a thoughtful and responsible solution for moving forward. Ditch Perfect! Many women with ADHD grow up thinking we will just work harder and longer to succeed. We become perfectionists so no one will know we struggle. But always trying to do something perfectly comes at a price. It increases our stress levels. It can lead to overwhelm and situational anxiety. It can set us up to fail and erodes our self-esteem. Imagine you have three buckets. One bucket is labeled “Good Enough”. Another is labeled “Great Job”. The last bucket is labeled “Absolutely Perfect”. What on your to-do list belongs in the just needs to get done “good enough” bucket? What will require a little extra effort or attention to detail for the “great job” bucket? What is so important to you or another that it belongs in the “absolutely perfect” bucket? Getting clear about this ahead of time can help you budget your time and energy appropriately. Tame Your Self-Talk! There are things we say to ourselves that keep us moving forward in life in a positive direction and there are things we say to ourselves that keep us stuck and defeated. Self-talk can be so automatic and so destructive. Grab a blank sheet of paper. Draw a line down the middle to create two columns. On one side of the paper, write a large + sign. On the other side of the paper write a large – sign. Spend the week jotting down your self-talk when you catch it. For example, on the plus side, you might catch yourself saying something like “I can do this”. “I haven’t got it right yet, but I can try another way”. On the negative side, you might catch yourself saying something like “I am horrible at this.”, or “I just can’t win.” At the end of the week, notice the patterns. Pick one of your prevalent negative statements. Think of 3 different ways you could respond with something more empowering. Then, create some visual cues and reminders to help you practice the use of the replacement statement and see what a difference it makes for you. The Center For Living Well with ADHD is dedicated to helping individuals develop life empowering strategies for managing their ADHD and achieve greater fulfillment and success with their goals for life. We are excited to launch our new pilot program designed especially for women with ADHD. Our program is designed to provide insight, encouragement and coaching support to help Women with ADHD create meaningful and joy-filled lives being themselves. Click here to check out our free upcoming workshop on May 22nd and June 4th, 2018, to try it out. You can learn more about our new pilot program here: Masterful Living with ADHD Program for Women. Robin Nordmeyer is a Certified Life Coach and ADHD Coach at the Center For Living Well with ADHD in Minnesota. She partners with ADHD Coaches Kay Axtell and Katherine Jahnke located in Colorado and Texas. The Center For Living Well with ADHD provides ADHD, Life and Executive Function Skills Coaching support for individuals all across the nation. 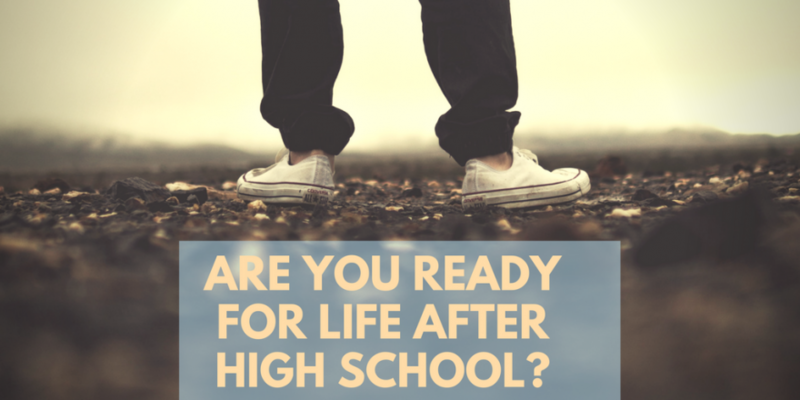 Ready For Life After High School? As a former High School teacher, I have vivid memories of a certain pervasive excitement in the halls and classrooms this time of year. Students and staff alike shared that feeling. Spring is an exciting time for students, parents and teachers. For staff, it was an opportunity to begin to draw closure to the year, evaluate successes and look at lessons and projects that could be reworked for a better outcome next year. Soon the doors would be closed, the halls would be silent and summer break would be just around the corner. For students, it meant Prom, Yearbook time, outdoor athletic events and graduations for them or their friends. It would mean a break from assignments, projects and exams. It would provide the opportunity to sleep in and to spend valued time hanging out with friends. It would be a welcome respite for that tired brain and a chance to enjoy the pure pleasure of being a teen without the social and academic demands of school. For students who are graduating from high school, and especially graduates with Executive Function challenges, a whole new world of decisions await. Often, these students aren’t prepared for the next steps in life. There are a myriad of options and obstacles that must be considered for the very different life they now face. If you are a student with Executive Function Challenge or a parent of that student, there are specific steps that can be taken to make that transition easier. Parents can be instrumental in asking specific questions that initiate conversations that might facilitate a more successful transition. Coaches can be a valuable support outside the home in terms of structuring that process in a proactive way. How ready am I to manage life on my own: time, money, medications, and my emotions? What are my strengths, passions and accomplishments? What are my challenges in the areas of: planning and prioritizing, starting, scheduling and completing tasks, dealing with roller-coaster feelings that shut me down or take over my ability to function? Based on the knowledge of my strengths and challenges, what support do I need to pursue my goals? Do I know who to ask or how to ask for the support I need? Do I really know what I want to do with my life or am I simply trying to fulfill others’ expectations ? What are the available choices for me once I leave high school? How can I determine which choices are a good match for me? What are the potential obstacles in my chosen path? What threats might sabotage my future success? How do I recognize those obstacles and threats? What tools and resources can I use? How do I develop the skills to turn what seems like failure into a learning experience that will serve me in the future? At The Center for Living Well with ADHD, we have coaches who have years of experience working with individuals whose Executive Function challenges might get in the way of their success. We have worked with teens and young adults from middle school through graduate school as well as adults. We offer free webinars, consultations and individual coaching that guides students and families through the complicated web of choices for life after high school. Visit us at: www.centerforlivingwellwithadhd.org and attend an event or schedule a complimentary session with one of our coaches. Are you familiar with the expression "You can't see the forest for the trees?" When ADHD is in the picture, it's quite easy to develop a habit of focusing on what's wrong, the problems, or how one might have goofed up again. Those messages become cemented into our everyday thinking and becomes the trees. As a result, it's easy to lose sight of a much bigger picture - What is right! Rampant negative thinking can outweigh and distort the awareness of the positive and the possible. It can shut the person with ADHD down and leave them with a mindset that decreases their motivation and willingness to keep trying. The thinking is often something like this: "This ADHD is a curse. I am doomed to failure or a life of struggle. I will never be able to live to my potential". Even with past successes and wins, it may often be difficult to remember and tap into this information for support when it is needed most to work towards what is truly possible. 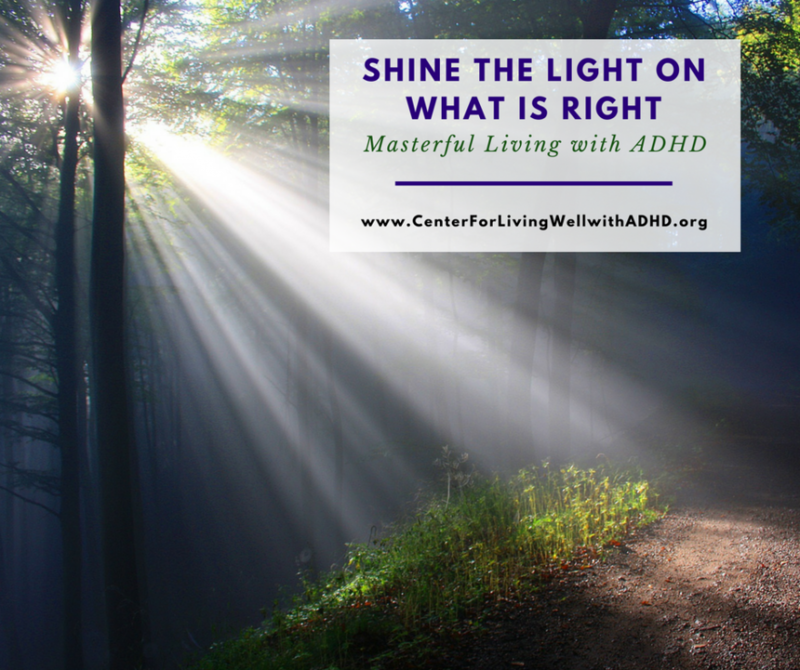 No matter what the life stage or relationship with ADHD, begin from a place of what's right. When focusing on successes, no matter how small, they can build and begin to develop more positive thinking. They become clues of how to succeed. Shining the light on what is right helps lighten the path and way through the trees. It can help to replace the negative memories and mindset with something that is more motivating and empowering. The mindset of "I can try this again" or " I can do this", and even "I did this" begins to take hold to create a bigger picture of what is truly possible. This doesn't mean to disregard what is wrong or what is a problem. It means finding creative ways to access and remember the past success or win at the right moment to apply to a new challenge or situation when it's needed. How can you shine the light on what is right when you need it most? Over the many years in coaching, we have worked with students of all ages who have become completely shut down -- they may be thinking "I am stupid, doomed, I can't do this, or I give up and won't do this". We have worked with parents who are feeling stressed out, frustrated and overwhelmed. Their efforts to do their absolute best are not leading them to experience what they want for their family. They may find themselves caught up in a reactive mode paying more attention to what is wrong in order to avoid more problems. We have worked with adults, who struggle with challenges at home, in the work place, with their personal life and relationships and more in unnecessary ways. There is a better way through those 'trees' and it's using the gift of having ADHD for starters. There's more to it of course. But once one learns how to leverage what's right in their life and manage ADHD-related challenges effectively, they become empowered to experience more. ADHD Coaching can help individuals identify their strengths and learn how to manage ADHD-related challenges to experience more success and joy in everyday life. It can help them get to the bigger picture for their life. Do you know someone with ADHD who would like to experience that? Join us for our next Virtual Open Houseor schedule a Complimentary Session with our coaches. Both options are your chance to get acquainted, ask your questions about ADHD, and explore how coaching or support can help you achieve your goals and dreams for your life. Robin Nordmeyer is a Certified Life Coach and ADHD Coach with the Center For Living Well with ADHD - Minnesota. Robin coaches with adults, parents and youth to live their strengths and manage ADHD-related challenges in effective ways to help with achieving their goals. You can reach Robin at Robin@ADHDCoach.life. Research currently sites the advantage of taking breaks from tasks, be they cognitive or physical. Productivity improves for most people when they are given an opportunity to escape from “have to” and indulge in “want to”. For young adults and teens with ADHD and Executive Function Challenge, however, it is sometimes difficult to transition back into the world of task completion. Most neurodiverse brains benefit from a break from cognitive tasks. The tough part is getting “back on track” in order to not succumb to an extended vacation of the mind which might result in some serious consequences. Check your grades to see where you stand at this point. Start chunking long-term assignments into manageable bites and complete as much of the work as you can so that you won’t be overwhelmed with year-end activities and unfinished projects. Visualize walking off the stage, diploma in hand. Review your syllabus and take careful note of due dates for final projects, research papers and exams. Set up a calendar with specific times and dates for the coursework not yet completed. Don’t be afraid to seek support from a friend, instructor, counselor or coach. Grades not so good? You can still do this! Another scenario that occurs right about now is a loud and clear reality-check. Perhaps midterms didn't go so well. Perhaps your grades are teetering to close to D's and F's. Before throwing in the towel, consider reaching out for some fast help. A coach can help you assess the situation and create a plan to salvage those grades to a place of passing. A little extra effort and support right now may be just what you need to cross the finish line with passing grades and make the most of your college investment. If this sounds like your situation, click here to schedule a complimentary get acquainted session with one of our coaches now to help you finish strong this semester. Good luck getting back on track!! Kay Axtell, ADHD and Executive Function Skills Coach is the Managing Director of the Center For Living Well with ADHD in Colorado. Kay works with adults, college and youth, To contact Kay, email her at Kay@adhdcoach.life. Or visit our website at www.CenterForLivingWellwithADHD.org to learn more about Kay and schedule a complimentary Get Acquainted Session with her. 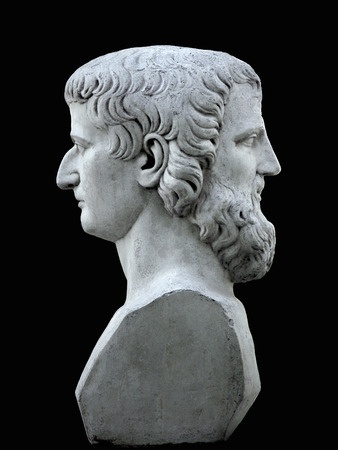 The Roman myth of Janus is an example of our thoughts this time of year. Janus is a two-faced god who is looking forward to the future and backward at the past. It's believed the month of January is named after him. For college students, Winter Break is an excellent opportunity to look at the past and plan for the future. Oftentimes, students with ADHD, LD and Executive Function challenges look at past attempts to succeed as failures. They harbor negative thoughts about their mistakes. This often creates a downward spiral that can impact self-esteem and motivation to move forward in a different manner. Planning for the future is sometimes challenging as well. Planning and Prioritizing are identified Executive Function challenges. For college students who would like to change their direction and take a more effective path towards college success, there are strategies that can support that process. For high school seniors who want to be proactive and enter college prepared, it isn’t too soon to start thinking about what has worked in high school and what hasn’t worked. How can you take this information and apply it to your future as a college student? How do you think college will be different from high school and what can you do now to prepare yourself for a different experience? Celebrate your successes. What did you do “right”? What were the outcomes of those actions? Look at past outcomes that didn’t turn out as you wished. What led to a result that you are not happy with? How can you do things differently and possibly end up with a more desired outcome? Turn unsuccessful attempts into learning experiences that will allow you to chart a more successful course using self-talk to reframe your thoughts in a way that will move you forward not backward. Find and accept support from someone who can help you look at learning experiences of the past then together explore some new and different ways of moving forward more successfully. Plan for the future semester with renewed energy and optimism based on what you have learned from the past. If you would like the opportunity to do some reflecting and future projecting for college success, click here to join us for a free webinar, January 8th, 2018 at 4:30 PT, 5:30 MT, 6:30 CT, 7:30 ET. Embracing it! Did I really forget . . . again? I think this picture speaks loud and clear for many of us. My colleague and I were in Colorado on our way to… so many places. We gathered everything we could think of for our full day of sightseeing. Then we got in the car - for the second time. Can you guess what happened? Yep! We forgot about 4 things. Back inside Kay went and gathered a few more things we forgot. I don’t know about you, but I’ve learned to hate the phase “did you forget anything”? In my mind I would say, Of course I did - what is it? It seemed that every day as I was leaving for work, I’d have to go back in the house for one more thing. It was frustrating and at times humiliating. Some people think it’s fun to see you go back and forth two and three times to get everything you needed. It was never fun for me. But I’d laugh with them as I went back inside to gather what I needed. But notice the smile on Kay’s face - that’s called “Embracing It”. Rather than beat ourselves up internally or make excuses, people with ADHD need to embrace it. This is how we are and it’s important to not look at it as a failure, but to look at it as “I simply have to go back and get what I needed.” If anyone forgets something, what do they do? They go back and get it. It doesn’t really matter how many times or the fact that others don’t do it as often as we do. Embrace it! You need to think about the perception you give others. Is it possible those with ADHD are verbalizing in front of everyone that “I’m so tired of forgetting things” - and then act exasperated. Isn’t this the same as walking late into a business meeting and calling ourselves out - “Sorry, I’m late again.” Try practicing being more INvisible in these instances. Don’t reassure others that you don’t have control. Yes, there are some things you just don’t have great control over. But you can help gain better control by making a list of what you will need the night before. Then stick it to the door. I feel a sense of calm when I make a list, rather than trying to remember the morning of the event. Some people make the list and that night put everything in the car. You know, you could have someone take your own picture of ‘Embracing it!” Put it up where it will make you smile. Joyce Kubik, Certified Master Coach and ADHD Coach is the Managing Director at the Center of Living Well with ADHDin Ohio. She coaches college students and adults virtually across the nation. You can reach her at Joyce@adhdcoach.life or through the website at www.centerforlivingwellwithadhd.org to schedule a complimentary session. See her profile here. Oh My! Where Did This Day Go? Have you ever paused at the end of your day and thought “Where did all my time go?” Or perhaps you started your day with a long list of written out to-do’s, and when finally stumbling upon your list at the end of the day, you realized hardly anything was done. This scenario can happen to anyone. But when it happens a lot, it is a clue there are challenges associated with time management, organization, and planning and prioritization. These are what I call the Big 3 Executive Function Skills that are often weaker in adults with ADHD. Add difficulty focusing and staying on task with your list and life can definitely present its challenges. What’s the upside? You can minimize their impact and strengthen their skills by developing ADHD friendly strategies and approaches which makes life a whole lot better. All these challenges were mine too. They had a big impact on how my day would play out. Trying to balance my career and personal life, which included a young busy family, was really difficult. I would budget my time in ways that didn’t match priorities. I would get carried away with ideas that were not part of the plan. I felt in a constant shuffle of trying to meet deadlines, arrive places on time, or follow through on commitments I had made. I would get stressed out, overwhelmed and shut down. I realized something had to change and I needed a better way to plan, prioritize and approach my day more effectively. Now I am asked, “How is it you have ADHD and get so much done?” Here is my secret. I had to create the systems and structures that worked for me to manage time, stay organized, and plan and prioritize effectively. For starters, I don’t start my day without a road map, on how the day will play out. I keep it in front of me all day long. Being able to build that road map is easier because of the systems I have put in place to stay on top of priorities. When I work with clients, I like to build their systems that helps them to plan, prioritize and approach their days in ways that work for them. Keep in mind that everyone is a little different on what works for them. So don’t try to do it like someone else. Find what works best for you, and don’t be afraid to ask me for help.